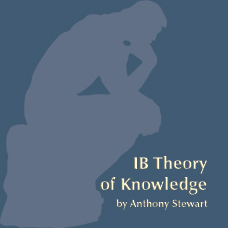 Theory of Knowledge (TOK) is the only IBO course which is taken by every IB student around the world and is therefore an important course for all schools offering the IB program. Many times Theory of Knowledge has been a problematic course for schools because the subject material is often unfamiliar to teachers and many times philosophically challenging for students. 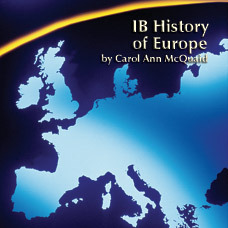 These difficulties were in mind during the authoring of this book, and it is written with hopes of not only giving students and teachers what they need to succeed with TOK, but also with the intention of making TOK a fun course to both study and to teach; each element being equally important if TOK is to be successful. TOK as a course has many mind-opening aspects to it as does almost any class which entails critical thinking, and it is these aspects which the book focuses upon. Each Area of Knowledge and Way of Knowing is examined thoroughly. Not only is there a clear discussion of problems of knowledge in each Area and Way, but there is also a focus on understanding how sound knowledge is gained in each. 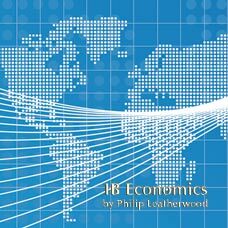 Many different divergent points of view are examined throughout, and clear, concise examples illustrate the knowledge issues. This gives a balanced understanding of the topic which allows students to discuss and analyze knowledge issues in depth. 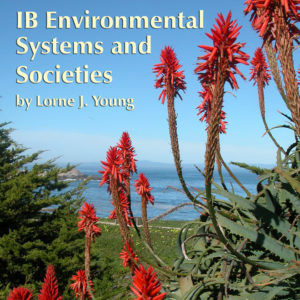 The entire book is geared towards providing the skills needed for writing a high quality TOK paper and giving a well-rounded, and successful TOK presentation. It is filled with dozens of thought provoking activities and exercises which engage the students in fun and creative ways. There are also hundreds of discussion questions which can add to the individual lessons if desired. Each Area is sub-divided into several individual lessons which focus on specific elements of what it means to know something, and how we know something, in that Area of Knowledge. The Ways of Knowing are examined by focusing on not only how each way of knowing creates or affects knowledge issues individually, but also how they interact with one another to create and affect knowledge. There is also an investigation of how the ways of knowing merge and interact with the different areas of knowledge to give the knower an understanding of the world. The most successful TOK student is the one who can make links across and between the different areas of knowledge and ways of knowing when writing the paper and doing the presentation. Every effort has been put into this book to provide the students with an understanding of how to do this. A highlight of this book which is not readily found in the few other TOK books on the market are the essay and presentation sections. This is done in the essay and presentation chapters titled Getting the Grade. In the essay writing chapter, the new TOK grading criteria (first exams 2008) is explained thoroughly. There is a full discussion of how these criteria should be applied to the writing of the essay. By using easily understandable hints and guidelines, the section explains specifically what elements are needed to write a good essay. There is also a clear discussion of common mistakes and pitfalls as well as an explanation of how to avoid them. The new presentation criteria (first exams 2008) are also discussed and similarly to the essay section, clear hints and guidelines are given for making good presentations. The focus for this section ranges from subjects such as topic choice and scheduling to how to apply the different elements of the grading criteria. The book and PowerPoint presentations are time saving tools which are effective for both team-teaching and individual teachers. The lessons have been successfully tried and tested in real classroom settings. The essay and presentation guidelines have helped many students get high grades in the TOK course. The material is written with a sense of humour which helps lubricate some of the complex philosophical thoughts, but at the same time the it does not lose focus of the overall TOK goal which is to develop critical thinking skills. 789/ISBN: 978-1-59657-573-8, 789/978-1-59657-177-8, Class Set download files: 978-1-59657-574-5, 591/ISBN: 978-1-59657-524-0, 591/ISBN: 978-1-59657-178-5, No page count.No ISBN number. Use product code.